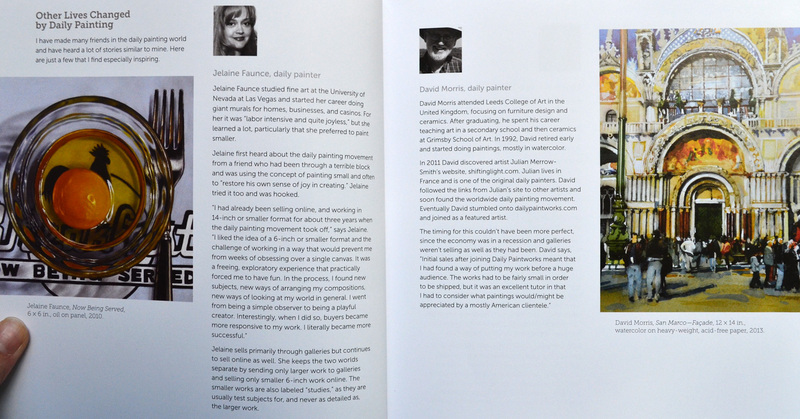 "Daily Painting: Paint Small and Often To Become a More Creative, Productive, and Successful Artist"
This is a book I wrote (published in 2014) about the art and business of painting daily. I've been on this path myself now since 2006. It has greatly accelerated my growth as an artist and my career as well! Do you want to bring the joy back into your art? "One of the best art books I have ever read! It is informative and well written plus sprinkled with good humor! A great read for any artist. Beautifully done!" "I own many art instruction books. It is rare to find one that gives you REAL guidance in plain language with doses of both humor and honesty. This has quickly become one of my favorite art books. It has also helped me break out of my artist block slump with a vengeance. Buy it NOW!" "This book has inspired me in more ways than I can begin to explain. Inspired, motivated, encouraged, educated ... and besides all of that ... it's a totally enjoyable read full of great art. When you don't know what to do next ... browse this book. It will help you to jump start to the next phase of your art. I recommend this to any artist of any age." I am thinking about ordering the book on Amazon coming out Nov.4 Question; do you include the material in your online tutorials in this book? Hi Janice! 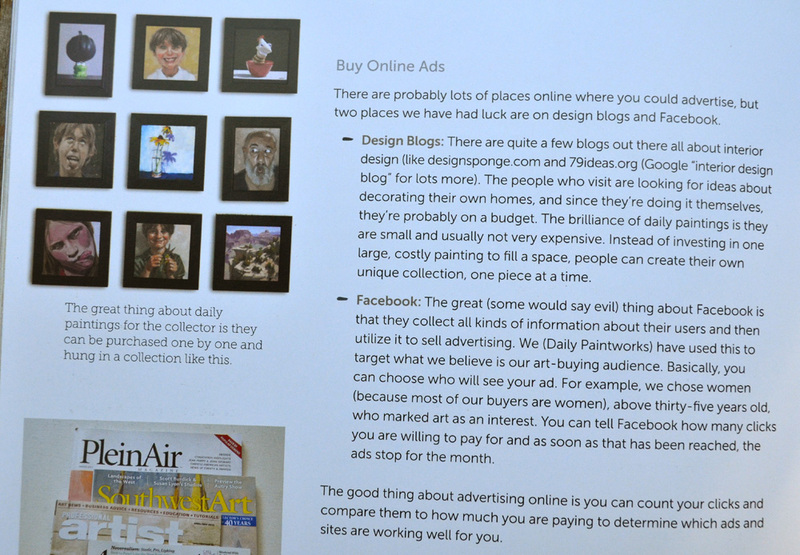 Yes, a lot of the material in my book is stuff that is also in my ArtBytes. 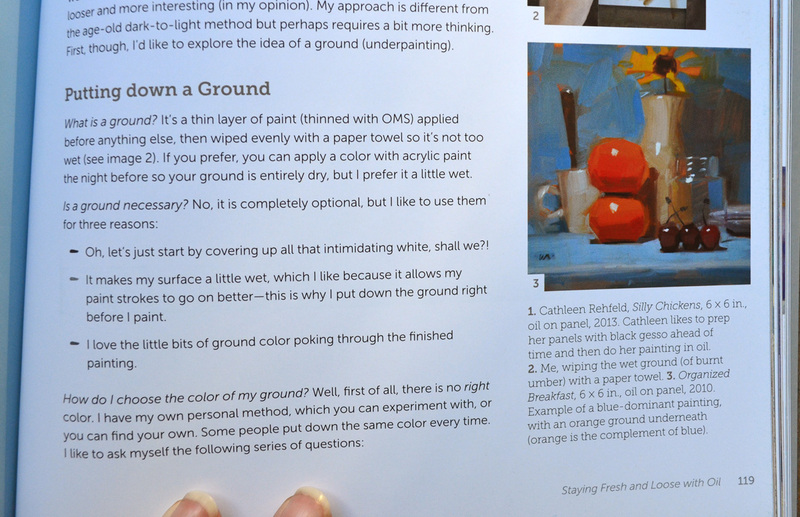 I'm very interested in getting your new book "Daily Painting", but is it suitable for watermedia painters? I paint with watercolors and acrylic only... Thanks! I just got my copy and it is beautiful and detailed, and helpful and inspiring. I was in your Aug. workshop and this book is solid reinforcement. The workshop was great and so is your book. Many congratulations on the layout/design and the writing. Carol, I got your book and am really enjoying it. Very informative . Hi Carol, Your latest book arrived today. It looks great! Thank you for writing it. You are very generous. I look forward to reading it. Hi Carol, Is your book still available for the price mentioned on AHA and if it is, how do I get one? Hi Susan! I'm sorry this reply is coming SO late (I've been away teaching)! 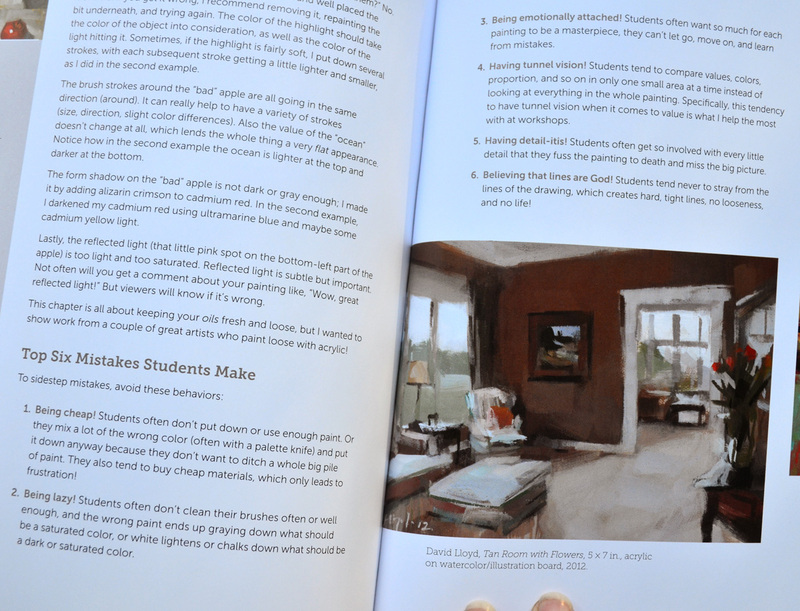 Yes, you can still get my instructional book, Daily Painting, for the price mentioned on AHA. 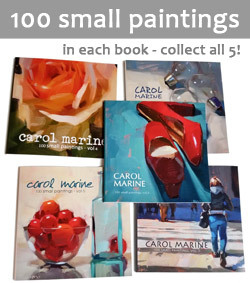 Just go to Amazon and search for "Daily Painting" or "Carol Marine." Thanks! Hi, Carol! Your book arrived a couple days ago and it was worth every penny. Well done! The only way I can survive Wisconsin winters is to hunker down in my cozy, well lit basement studio and paint. Your book will help alot!! Pat Wafer - Madison, Wi. I bought this book a few weeks ago and have read through it a couple time already. It is wonderful! I too have several art books that I really like but this is definitely one of the most useful and practical. I love it. I am currently going through the exercises and learning a great deal. Would highly recommend it! I am currently half way through your book, and I just wanted to say that as a hobby painter I have learned a lot already. Especially the sections about values and colors were insightful to me. I only just googled your website but will look forward to reading your blog and have a look at all your work. HI Carol, I just wanted to say thank you for your great book - your no nonsense, get down to what counts info is just perfect! It helped me quickly round up what I needed to get started and your step by step guidelines make me feel set up for success. No more poor compositions where I cant understand what isn't working - and i cant believe no one ever taught me about viewfinders! You've inspired and motivated me to get back to painting after an 8 or so year hiatus - thank you to bits for being so generous with your experience and knowledge! I bought this book for myself…it's amazing. Communication channels have changed and so have the ways an artist can connect to their audience. This book shows you the way you can do this, realistically and with plenty of tips for getting on in an online environment. Love the book. Has helped me change gear in my painting and drawing. I have just purchased, read, re-read, and will continue to absorb, analyze, and apply, your book, DAILY PAINTING. I have just one word for it: Life Changing! Like you, the instructors stressed thinking and painting big, stretching your own canvasses and experimenting. Think big… let your imagination soar. They were all preaching the same slash and dash non-objective German style expressionism. I couldn’t draw a straight line. If I had it to do over, I would go to a specialized art school or apprentice to a successful artist. Move forward about 60-years and I have been married 56 years to a beautiful young lady who is now in end stage Alzheimer’s Disease. She was an art major and taught elementary and high school art. My art was on hold while I was busy making a living. But now with her in a nursing home, I took up painting again. Paint often – it’s a truth; you get better when you exercise on a regular basis. 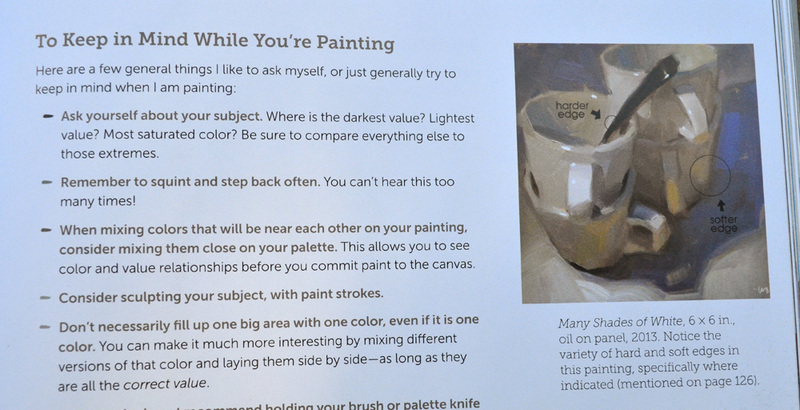 Paint a variety of subjects – variety helps sharpen your eye to the hidden gem. Your book introduced me to Gesso Bord. I had been using canvas board, but the tooth is too prominent for small works. Your sections on the basics of painting and art in general: tone, value, composition, etc were excellent. These basics are what we all know, but often fail to practice. This book forced me to take stock of myself. I found that I watch TV for up to 6-hours a day, and spend another 2-hours dreaming about all the things I could be doing if I had the time. I have finished my first “daily painting.” Time wise, I have a total of about two hours on it. But I painted on it every day! It just took me four days. Some day when I feel quality warrants, I might try posting to a blog for all the world to see. Until then, thank-you! Book is really really great! But I have a question -- she talks about a 39W 2800K flood by Sylvania - does anyone know the actual product # or what I look for on the box - searches are bringing up all kinds of lights! Book is fabulous and so easy to understand - question: I want to acquire the Sylvania bulb she mentions - when I put in the info she gives I get a huge selection of bulbs - anyone know the actual product number or what is on the box? p.s. I lost a complete home to a hurricane and then I lost the next one&pet to a fire. Art keeps me sane - I know you can relate! Your book is wonderful. Thank you all so much for the wonderful reviews!!! Claudia, unfortunately the lights that are available keep changing. My Sylvania bulb broke recently and I couldn't find a replacement! I ended up getting a Phillips. Here's what you want to make sure of - get any halogen flood bulb, with a Kelvin (K) anywhere from 2800K to 3000K, and something less than 50W (watts) (otherwise it will be too hot and it will literally cook your props). I found my latest one on Amazon, but you can also try Home Depot, Lowes, or any store like that. I hope that helps! Feel free to email me directly - me@carolmarine.com. Carol, thank you for your inspirational book! I haven't felt so excited about painting for a long long time. I read it cover to cover in two days... making use of the time while my little boy slept. I have just finished my first attempt and created a new blog for it's photo to sit on... I'm not ready to put anything out there for sale as I'm just playing at the moment but there is (of course) a sales twinkle in my eye too! Thank you Carol for this amazing book. I own many art and art technique books and this has got to be one of best art books I have ever bought. I am definitely going to put your advice into practice. Thanks again for being such an inspiration. 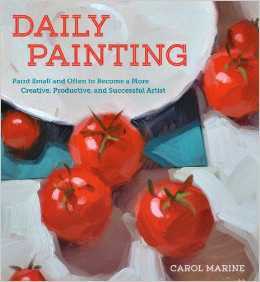 Hi Carol, first off I just wanted to say I bought your daily painting book and love your approach! As an ADHD beginner artist, painting small has been incredibly productive and it feels great to actually FINISH paintings. Quick question: is there any way I can still access your "tomatoes and plate" tutorial? (The corresponding video for your in-book tutorial). 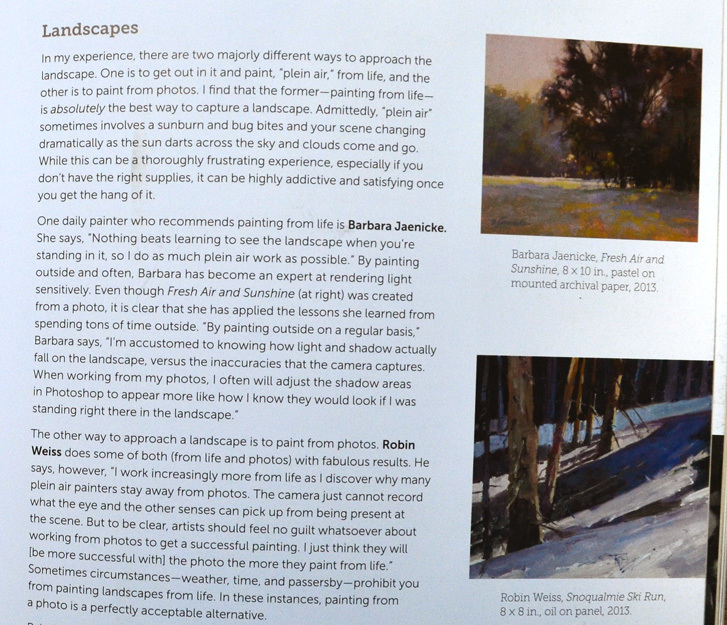 I followed the provided link to your blog and daily paintworks and saw that it's no longer listed in your tutorials. Hi Alex and thank you! Unfortunately there is no video/tutorial for "tomatoes and plate". There are only the progression photos in the book. Thanks for the quick response Carol! I've got one more question if you don't mind: my biggest issues right now are my work not "looking" like your work. I cant quite get your brushstrokes or style down. 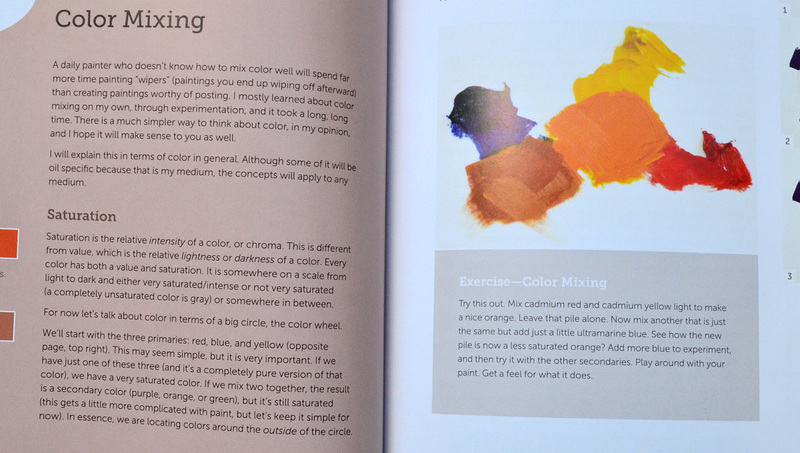 I'm also still building color theory knowledge and I can't always match your colors. I'm also using your limited pallette. With that said, should I purchase your voice-overed orange slice and apple demos first, or would i get more out of your videos on painting fast & loose and color saturations? Thanks again for everything Carol! I have several art books on my shelf but I have to say yours is about the only one I have read cover to cover. It is so informative and you are very generous with your online selling tips, something I had dabbled with but wasn't sure which way to go. I have now had two sales and I have just put a painting for auction in Daily Paintworks. Thank you so much for all your inspiration. I have several art books on my shelf but I have to say that yours is about the only one that I have read cover to cover. I found it to be very encouraging and I have to thank you for being so generous with your tips about online selling. This is something I dabbled in as I wasn't sure of the best way to do it. Thanks to you I have now had my first two sales and I have just put a painting in Daily Paintworks auction. That's the scary bit - I didn't want to start at $1 as I don't want to 'give' it away but didn't want to start too high as to put people off. Je découvre votre blog et votre peinture, j'aimerais beaucoup acheter votre livre mais je ne sais pas lire l'Anglais!!!! C'est vraiment dommage car je pense que cela aurait pu m'aider à moins de le traduire sur Google traduction. I am buying your book for my wife for the holidays. I wanted to also get her some canvas to start. Can you provide the type/size of canvas so I can buy some for her to start? I love your Daily Painting book and daily painting website; I have bought a lot of art books in the past 2 years and yours remains one of my favourites:)) I did 27 animal portraits in 2 months and think that I definitely improved. Thank you. Thank you for writing this book. It has helped me conquer my fear of getting started and helped me in so many other ways that it would take an essay to explain. I started a blog this week, joined DPW and today I made my first sale after posting only a few days ago. Now I'm trying to figure out how to make sure my little 6x6" panel gets to my buyer safely. I'm so new at this I don't even have business cards yet. I want to attend one of your workshops but they are booked up. Hope you will have more. Your book and blog have changed my life and I'm really learning and enjoying my art. Thank you! Hi Carol! I'm so excited that I came across your book on Amazon.ca! I compared it to other instruction books. I liked what your readers had said about your book and have just put in my order. I can't wait to get my hands on it! I've been in a slump for over 6 months. I read that your book has helped other painters who are also going through a dry spell. Thank you for encouraging others to express themselves!